About two hours after NStar contractors spread a fine mist of chemicals to kill foliage beneath power lines near her farm on Cape Cod, Clare Bergh developed a migraine and began to notice a rash on her body. A friend on her property complained she could taste the chemicals in her mouth. When Bergh testified about her experience shortly afterward to Harwich selectmen in October, the 52-year-old showed them pictures of red bumps all over her torso, arms, and legs. Bergh, neighbors, and local lawmakers have raised a raft of complaints and staged demonstrations in recent months to protest NStar’s resumption of spraying herbicides throughout Cape Cod after the company ended a four-year, self-imposed moratorium on the controversial method of controlling vegetation beneath its power lines. 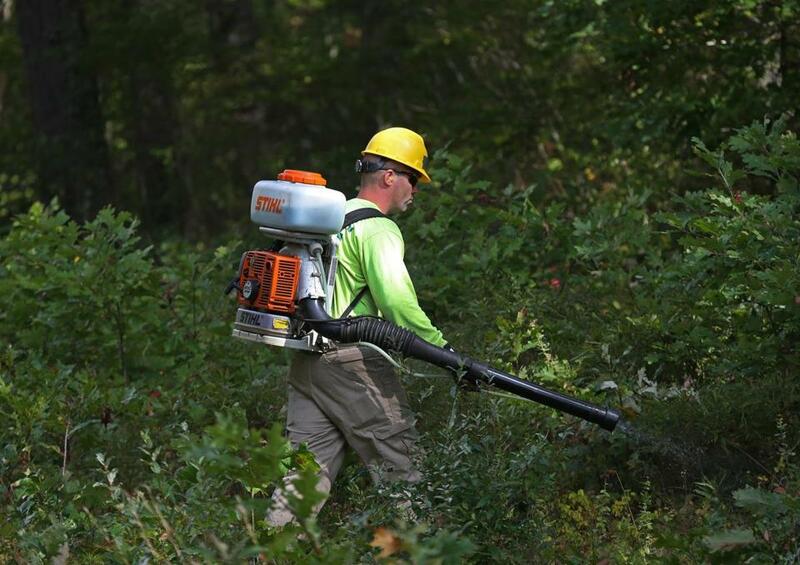 NStar officials insist the state-sanctioned spraying is safe and say it is the most effective means of managing the growth of trees on their property, noting that overgrown vegetation is among the most common cause of electrical outages. They add that spraying is a common practice among utility companies around the country, and that it is regulated in Massachusetts by the state Department of Agricultural Resources. “We follow their guidelines and regulations to the letter,” said Michael Durand, an NStar spokesman, who said the utility has applied herbicides for more than a decade over 500 miles of its transmission and distribution lines in Eastern Massachusetts. NStar recently concluded spraying for the season. But opponents argue that the water supply on Cape Cod is uniquely vulnerable to the toxic chemicals, saying the sandy soil is porous and that their ground water is relatively easily contaminated by anything seeping below the surface. They have also complained that NStar has ignored their concerns, even after 15 towns on Cape Cod and Martha’s Vineyard passed resolutions in recent years against the utility’s spraying program. 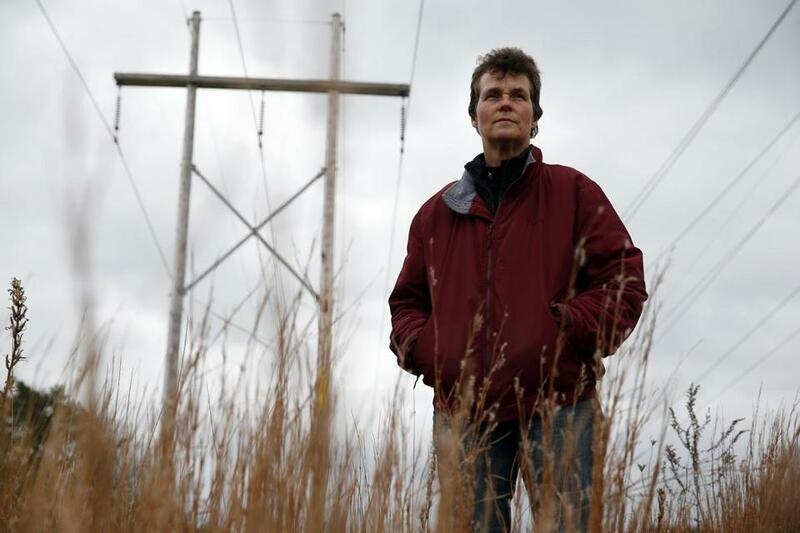 The land beneath NStar’s power lines, however, isn’t subject to local regulations. In a letter late last year to Governor Deval Patrick, state Senator Dan Wolf, a Harwich Democrat, wrote that he had “grave concern” about NStar’s vegetation control program. He said his constituents have complained that the company’s contractors have not notified abutters about spraying, have failed to abide by state rules, and have applied the herbicide where they shouldn’t. He urged the utility to halt spraying immediately. Clare Bergh was stricken with a rash after NStar workers sprayed near her house. Laura Kelley, director of Protect Our Cape Cod Aquifer, a local advocacy group, said the risks from spraying are heightened on the Cape because nearly everyone gets drinking water from the same aquifer. Most communities in the state get their drinking water from reservoirs or rivers elsewhere. “Anything that is applied to the surface of this precious ground leaches into the water table, contaminating our drinking water,” she said. She and others noted that the Cape has long struggled with pollution to its ground water from the dramatic rise in development and the lack of sufficient waste-disposal systems. The remnants of sewage from septic tanks of more than 200,000 full-time Cape residents have seeped into the ground water and polluted estuaries, bays, and other bodies of water from Bourne to Orleans. “NStar’s cocktail of herbicides, with their unknown long-term side effects, has no place on Cape Cod with its fragile environment,” Kelley said. State environmental officials said they are trying to address residents’ concerns. “We have worked to improve communications between all parties,” said Amy Mahler, a spokeswoman for the state Executive Office of Energy and Environmental Affairs. She said an investigation by the Department of Agricultural Resources into what caused Clare Bergh’s rash found no evidence of the chemicals on her property. Investigators concluded that her rash was more likely a reaction to the exhaust fumes from the machines used to spread the chemicals than to the herbicide mixture. Bergh called the report’s conclusions preposterous. She said state investigators didn’t visit her property until more than three weeks after the spraying and that their sampling followed several significant rainstorms. She also said NStar violated state rules by spraying too close to her property and her water wells, and by not informing her in advance. She said the state had failed in its job to regulate the utility properly. NStar officials said they had halted spraying on the Cape to try to assuage residents’ concerns while they sought to persuade them that their program is safe. They don’t apply the herbicides every year and maintained their property in more conventional ways during that time. NStar says the state-sanctioned spraying is safe and the most effective means of managing the growth of trees on their property. In October, a crew in Falmouth wearing large motorized contraptions buzzing on their backs and holding rifle-like tubes in their hands demonstrated how they applied the herbicide. They used a gauge to measure wind speed – they said they stop spraying if gusts exceed state limits – and aimed their mist blowers at the ground to limit dispersal of the chemicals in the air. Bill Hayes, who oversees part of NStar’s herbicide program, said that mowing and clear cutting is a poor alternative to spraying, because it leaves roots intact and promotes the rapid re-sprouting of trees and plants. Herbicides allow the company to maintain low shrubs compatible with transmission lines and provide a suitable habitat for a range of wildlife. After showing how the chemicals reduce the density of stems, Hayes said he understands why residents are concerned. He said NStar plans to resume spraying on the Cape this year.